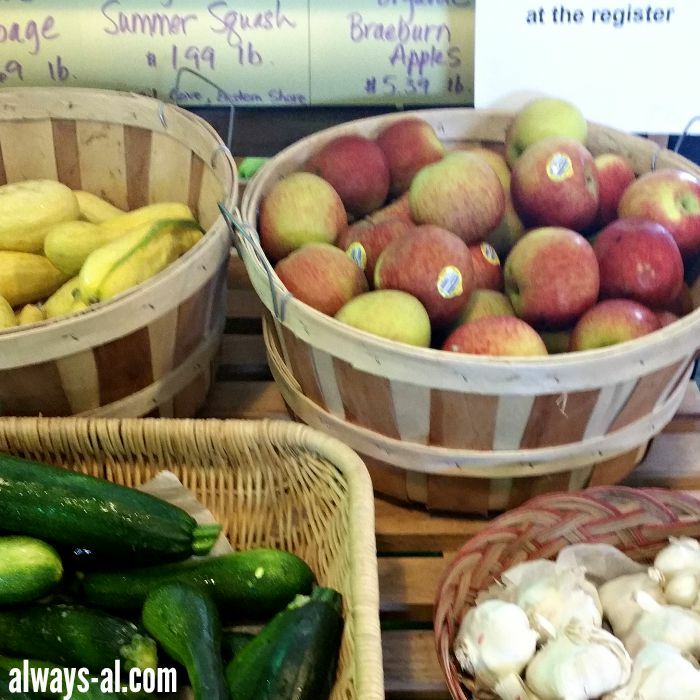 One of our favorite activities on the weekend is to visit our local farm market. We are fortunate enough to live in an area with a farmer's market that stays open all year long. The Five Points Community Farm Market, which is located in downtown Norfolk is an amazing indoor farm market with a huge emphasis on eating locally. They offer a CSA (Community Supported Agriculture) subscription program, which offers 10-12 weeks of fresh produce. You pay ahead, and every week you pick up a surprise mix of different things! We were going to do the summer CSA, but were lazy bones, and didn't sign up in time. Boo. 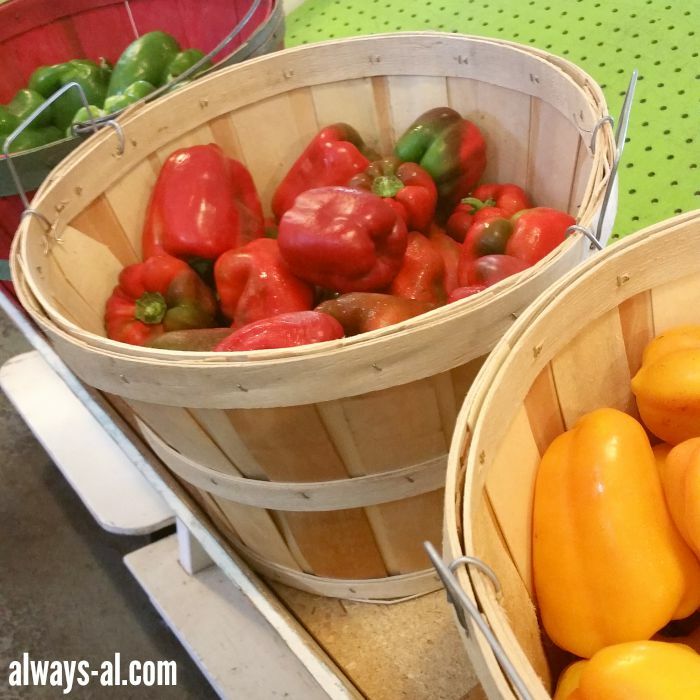 Eating lots of fresh produce has been one of the things we have been trying to focus on more as we are embracing a healthy lifestyle, and shopping at a farm market makes it so much easier. 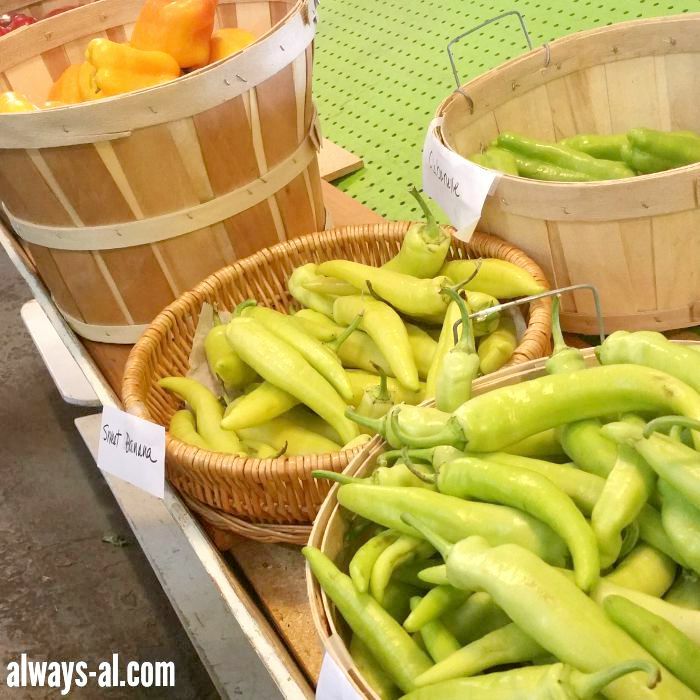 We love that Five Points offers 20% off produce on Sundays, too! One of my favorite things about visiting the farm market each weekend, is the Get Fresh Cafe, which is located within the market. They use a lot of the produce from the market, and everything is always really delicious. This week we ate lunch there, and Dave had a vegan quinoa burger (Mr. 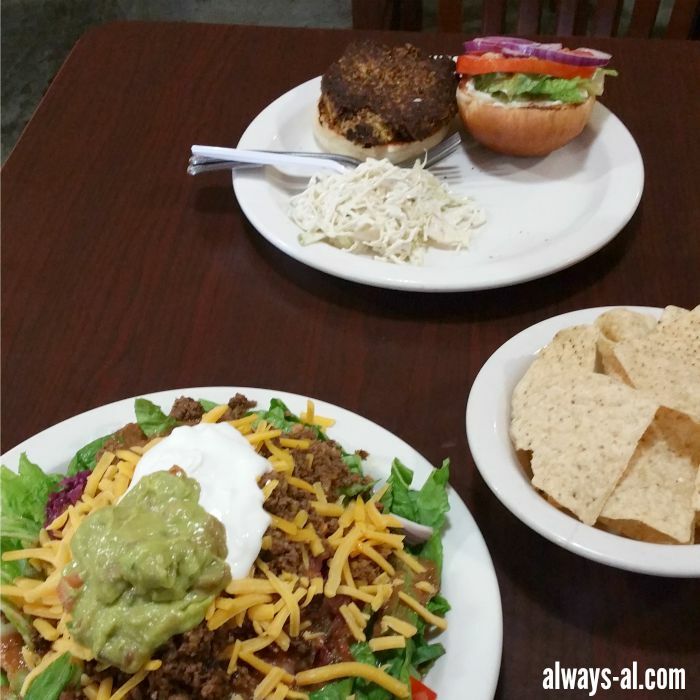 Healthy) and I had a GIANT taco salad (Ms. Not Healthy). If you are ever in the Norfolk area, I highly recommend stopping by the Five Points Community Farm Market! And make sure to check out the Get Fresh Cafe! I love farmer's markets and this one looks awesome! How lucky that you have one so close to you that's open year-round. When we figured it out you would have thought we won the lottery! Farmer's markets are the best! I love that we can build our meals around fresh produce.